In Western astrology, the Ascendant is the degree of the zodiac that rises above the eastern horizon at the moment of one's birth. If, for instance, this degree happens to be in the Cancer section of the zodiac, the newborn individual is known to be "Ascendant Cancer". Another individual may be "Ascendant Leo", "Ascendant Sagittarius", or "Ascendant Pisces". Therefore, it's the hour in the day of one's birth that determines one's Ascendant. 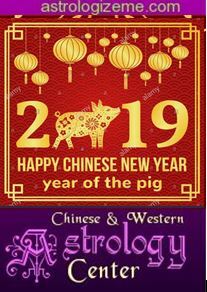 In Chinese astrology, the hour of an individual's birth is also duly taken into account. Normally, it's simply known as "hour of birth". But the term "Ascendant" is so widely used that it can be substituted for "hour of birth" — although rather improperly. If you were born between 01:01 and 03:00, for instance, you are known to be born at the hour of the Ox. And if you were born between 21:01 and 23:00, you are known to be born at the hour of the Pig.